When summer’s wrath strikes Fort Collins, CO, retreat to the unmistakable comfort of your air-conditioned home to make the hot weather seem bearable. In the unfortunate instance of your home feeling warmer inside than the outside temperature, contact an A/C expert to repair the problem promptly and efficiently. The team of AC repair techs at Specialized 72 Degrees Air Conditioning & Heating has been performing expert air conditioning services for over 10 years. Our trained technicians have the knowledge to diagnose and solve all of your air conditioning ailments to ensure your home is consistently at its optimum comfort level. If your air conditioner seems to be running efficiently, it’s still important to receive an HVAC maintenance tune-up annually, just to make sure everything is working properly – you could save money on your monthly energy costs. We are fully licensed, bonded, and insured for your protection. All AC technicians are NATE certified. Upon request, we are able to provide you with a list of references. Comfort Guarantee – Guarantees that the system(s) we have installed in your home will heat or cool your home as we have stated. If the temperature range we have promised is not achieved, we will replace the system at no charge. 100% Money Back Guarantee – We guarantee that the equipment we have installed will perform as we have stated. If the system does not heat or cool your home to your satisfaction, we will remove it and return 100% of your investment. No Lemon Guarantee – If the compressor in your home air conditioner fails twice in the first five years, we will install a complete and new outside unit. 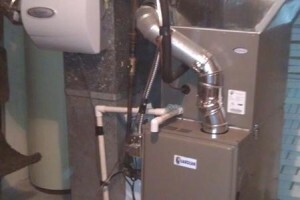 If the heat exchanger in your furnace fails in the first ten years, we will install a new furnace. Contact Specialized 72 Degrees Air Conditioning & Heating today at 970-221-5621, or browse our website for more information about heating or duct cleaning.